Today we launched a new page on SinBin.vegas called the “Vegas Golden Knights Line Charts” page. The object of the page is to not only act reference point to show the Golden Knights lines from each game but to also display utilization rates for players and positions graphically. The page is laid out in three sections. The easiest one to understand is the last section, the game-by-game line charts. It’s simply a list of the lineup from every game including healthy scratches and injuries. The other two sections are a collection of pie charts to show player and line utilization rates. 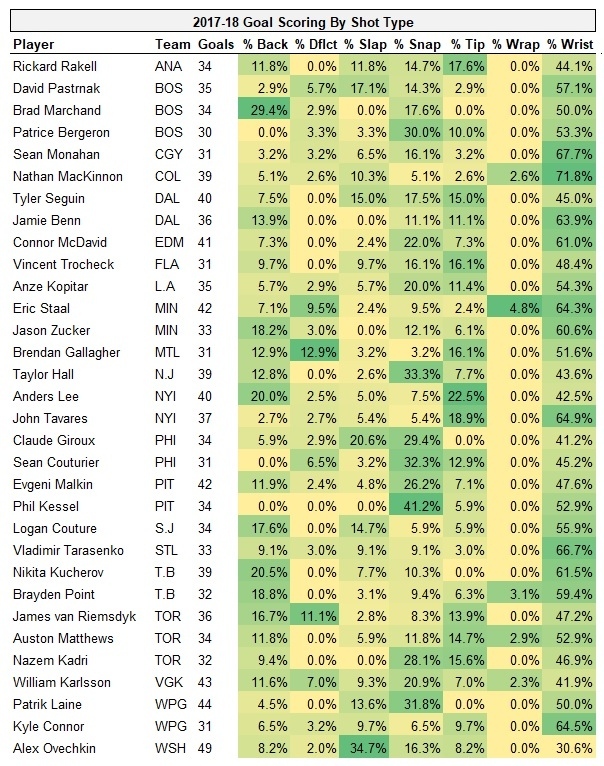 What they show is how often a particular player is used, what positions they’ve been used in, and which players most commonly play on which lines. The charts and lines will update following each game and can always be found in the menu on the top SinBin.vegas on desktop computers and in the drop-down menu on mobile. Or, you can click here. Have fun obsessing over this as much as we have and we apologize in advance to the colorblind. The famous saying in sports when a team experiences something like a long-term injury or a suspension is “next man up.” Just wait, that term is going to be thrown around City National Arena more than “chip on our shoulder” was last year. Sometimes the “next man” turns out to be a superstar like Lou Gehrig or Kurt Warner, other times it doesn’t work out so well. Most of the time though it falls somewhere in between, where the replacement isn’t as good as the missing player, but not a complete disaster. That’s where we expect the Golden Knights to land with the loss of Schmidt. First of all, hockey is unlike many other sports where the loss of a player results in a direct replacement. Aside from goalies, a loss of a skater in hockey means a shift in the depth chart. In this case, the replacement of Jon Merrill, Brad Hunt, Griffin Reinhart, Zach Whitecloud, or Erik Brannstrom will not be expected to step in and have the same role and responsibilities as Schmidt. Instead, more than likely Deryk Engelland or Nick Holden will find themselves filling those shoes. So rather than replacing Schmidt with Merrill, it’s like replacing Schmidt with Engelland AND Engelland with McNabb AND McNabb with Theodore AND Theodore with Holden AND Holden with Miller AND Miller with Merrill. Nonetheless, someone does have to step into the lineup that otherwise would have been in the press box watching the game. To give a statistical look at what the Golden Knights look like without Schmidt, we start with the expected values Schmidt would have brought to the team both offensively and defensively based on last season’s stats. Schmidt averaged 22:14 while scoring five goals and tallying 31 assists in 76 total games. He had 57 giveaways and 57 takeaways and registered 103 shots. His point shares were 2.2 offensively, 4.8 defensively, totaling 7.0. He played 76 games, so we first multiply all the numbers (except TOI) by 1.079 to calculate them to an 82 game total. Then, we’ve divide by 4.1 (or divide by 82 then multiply by 20) to calculate his stats over the course of the 20 games he’ll miss. Here’s what we get. 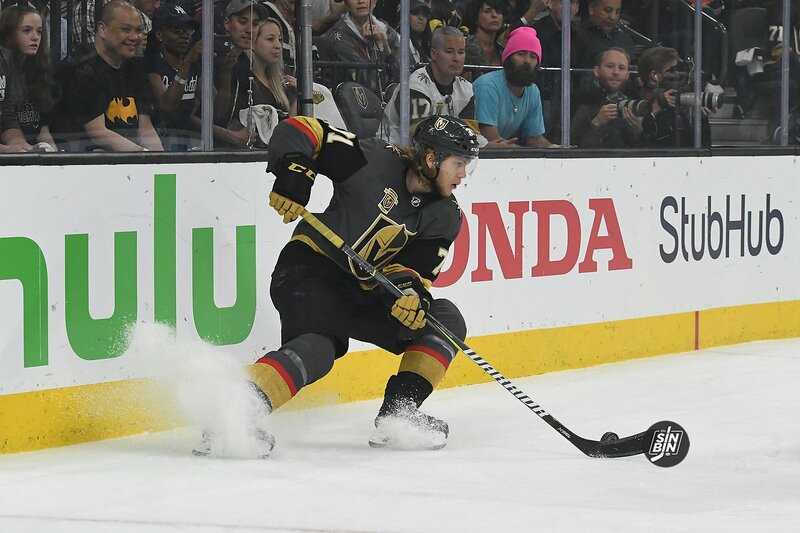 The name William Karlsson and the word “regression” have been joined at the hip this offseason. Following his breakout season scoring 43 goals, posting a +49 rating, winning the Lady Byng, and finishing top 10 in both Selke and Hart, it seems like everyone assumes a decline in 2018-19. Personally, I’m not a fan of assumptions, I prefer facts, or at least stats I can package as something resembling facts. So, I set out to see if regression for William Karlsson is indeed inevitable, and if so, how major it may be. The normal way to project a player’s statistics in the NHL (or any sport for that matter) is to look at that player’s career history. However, with Karlsson that doesn’t really work. 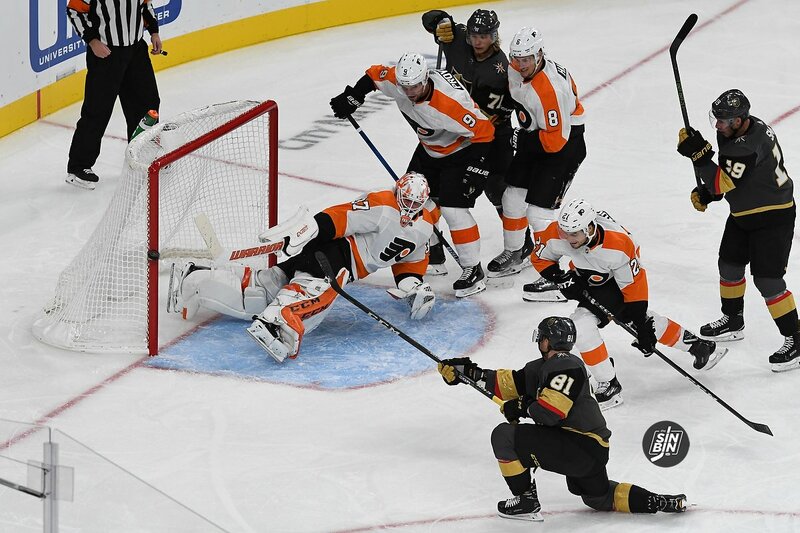 To begin his career he was seeing minimal ice time, playing on the fourth line, and had defensive responsibilities similar to those of Pierre-Edouard Bellemare’s on the Golden Knights. In Vegas, he’s the top line center, is used in all situations including the top power play and penalty kill units, and plays on a line with two high-level offensive players. His stats in Columbus are essentially hogwash because his role has changed so much, but at the same time, simply using his one mega season in Vegas feels like a bit too small of a sample size to project his future. So, I had to find another way. The way I chose to go about it was to examine the follow-up seasons for players who have had years in which they put up numbers similar to Karlsson’s. What I found, in short, is that there’s basically no chance William Karlsson repeats his incredible 17-18 season. Literally, every player (except one) who scored 40 goals, every player who shot better than 20%, every player with a massive +/- rating, every player with a high shooting percentage, and every player with impressive defensive numbers saw their statistics decline the following year. That’s 47 of 48 players over the course of the last five years. I’ll prove it in a second, but before you go jumping off the cliff, while the numbers suggest a drop-off, they do not suggest Karlsson’s going to become an average player. Instead, they show just the opposite. Using this method of comparing players with similar statistical seasons to Karlsson, he should be projected to score 35 goals, shoot at around 16%, and stay a legitimate Selke award candidate. Here’s how I conducted the study. First, I found every season in which a player matched (or led the league) in the best statistical categories for William Karlsson. Those are Goals (Karlsson had 43, 3rd in NHL), Shooting Percentage (Karlsson shot 23.4%, led NHL), Plus/Minus (Karlsson was +49, led NHL), Even Strength Goals (Karlsson had 31, tied for 3rd in NHL), and Defensive Point Shares (Karlsson had 3.5, led all forwards in NHL). After finding all the players who had qualifying seasons, I looked up what they did in that same category the following year. I added up all of the follow-up season numbers and divided it by the Karlsson-esque season numbers to show the percentage of regression to be expected in each category. Here are the numbers. We all fondly remember William Karlsson’s 43 goal season as a glorious collection of one-timers, diving empty netters, and between the legs dandies, but now thanks to TSN’s Travis Yost we know exactly how #71 put all 43 goals into the back of the net on the way to one of the most incredible breakthrough seasons in NHL history. The numbers are fascinating to read, especially when you look at Lady Byng winner William Karlsson’s chart. The Golden Knights star center will probably forever be known for this, but according to Yost’s research, Karlsson scored the majority of his goals by wrist shot. Yost found the goal percentages by shot type; backhand, deflection, slap shot, snap shot, tipped shot, wraparound, and wrist shot. As you can see on TSN’s chart, Karlsson has an incredibly lethal wrist shot. The top line center scored 41.9%, or 18 of 43 goals off his wrister. 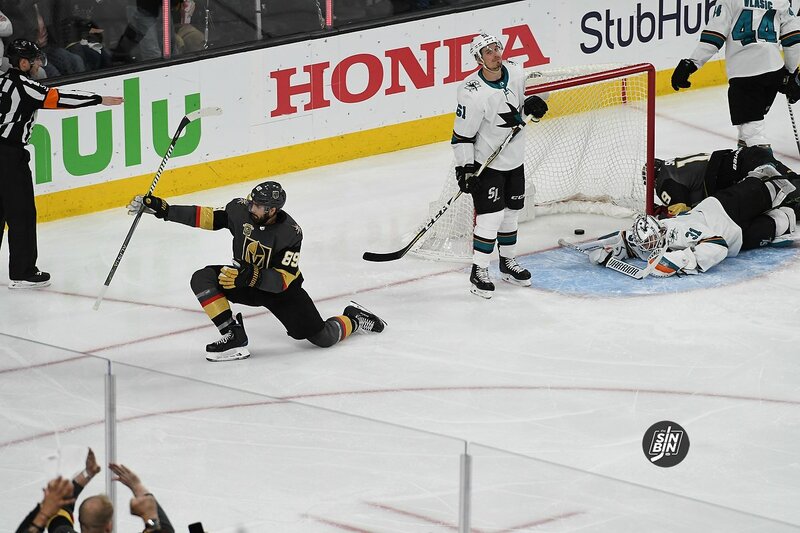 Last season it took the Golden Knights 268 goals to win the Pacific Division title. Vegas finished fifth in the NHL behind Tampa (290), Winnipeg (273), Pittsburgh (270) and Toronto (270). 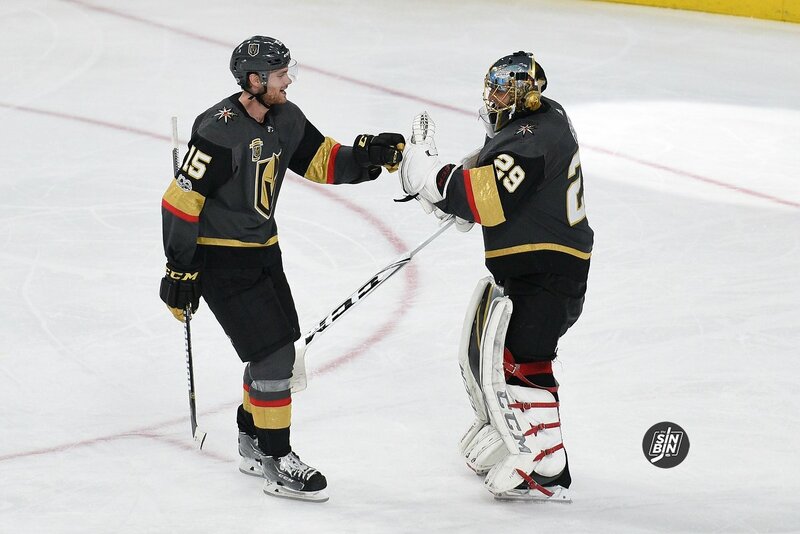 The league average for goals scored was (244), 24 short of the Golden Knights’ output. San Jose (247) was the only other Pacific Division team to score more than the league average. Clearly, the Golden Knights produced enough offense last season to win their division going away. Vegas was only five tallies behind Winnipeg, the Western Conference leader, and we all know how that ended up. Vegas, Tampa, and Winnipeg were in the top five in regular season scoring and all appeared in the conference finals. Here’s how the rest of the Pacific Division teams fared in 2017-18. 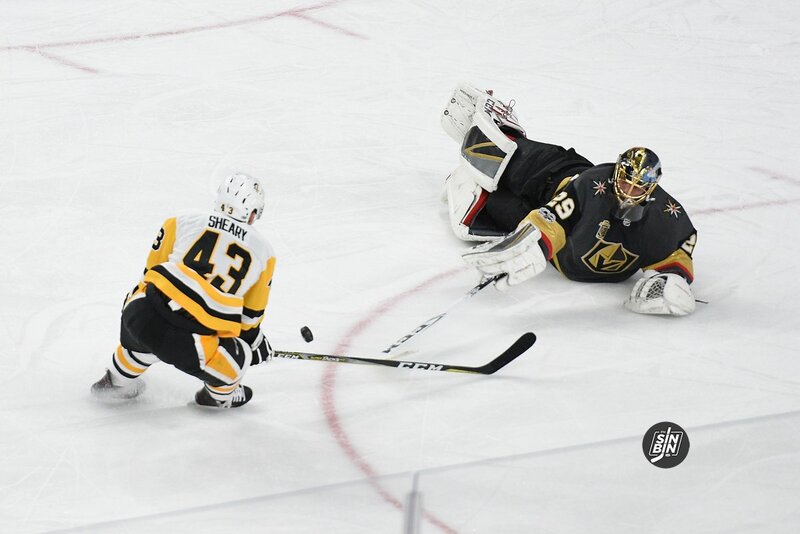 Over the course of the 2017-18 season, the Golden Knights drew 249 penalties, good for 15th in the NHL. Vegas converted on 53, ranking them 12th in power play goals scored and 10th in power play percentage at 21.4%. Compare that to the 3rd overall ranking in even strength goals and it’s fairly clear the Golden Knights did not rely on a man-advantage to win games. 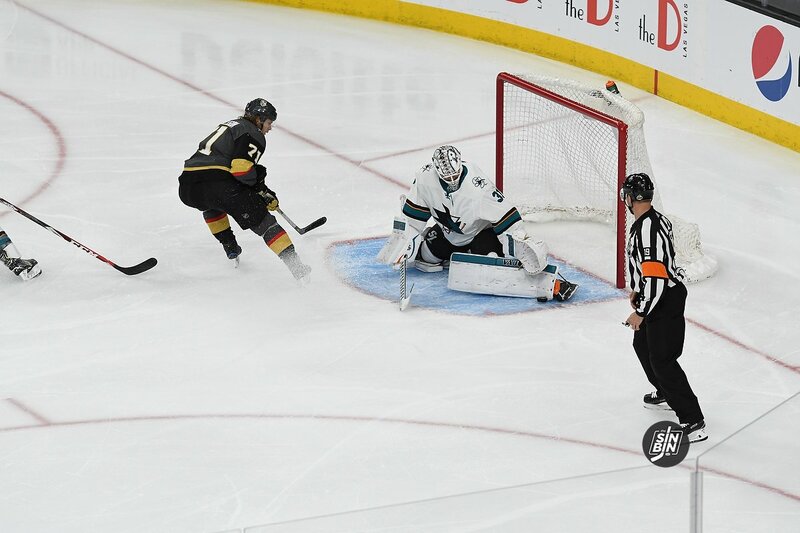 Nonetheless, power play goals remain the easiest way to score in the NHL (aside from empty netters of course) and the Golden Knights certainly cashed in on a few big ones along the way to a Western Conference Championship. 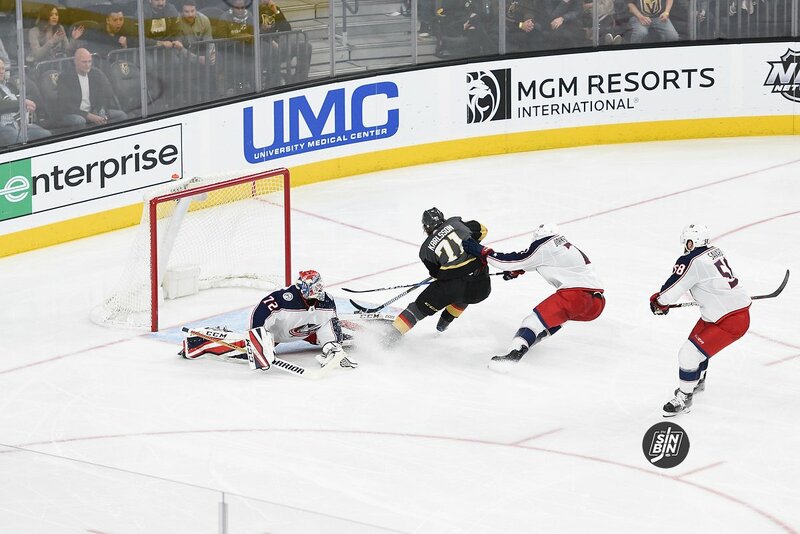 During the year 26 different Golden Knights drew penalties. Two players made up for 55 of the 249, or 22%. Those two players are now members of the Calgary Flames and St. Louis Blues. 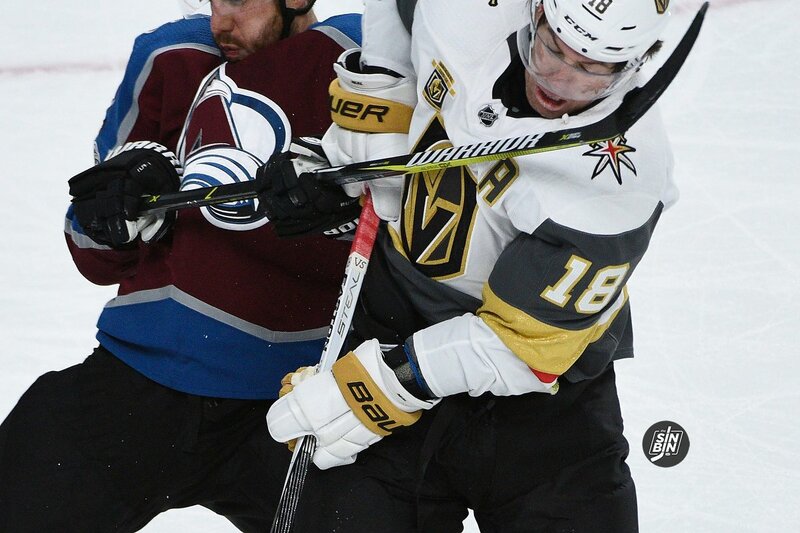 55 penalties at a scoring rate of 21.4%, what the Golden Knights finished the regular season with, adds up to nearly 12 power play goals created off drawn penalties by only Neal and Perron. The Neal, Perron, Haula line drew 68 penalties while the top line of Marchessault, Reilly Smith and William Karlsson drew just 40. Tomas Tatar and Paul Stastny, the two players expected to replace a majority of Perron and Neal’s minutes drew a combined 36 penalties. The numbers are alarming, especially considering Tatar has yet to show the success he’s had elsewhere in Vegas. It’s not crazy to think however that Tatar, Stastny, and the increased role for Alex Tuch can help to replace the 41 goals Neal and Perron produced, but expecting these same three guys to draw 50+ penalties is probably asking a lot. The real bummer is this likely means fewer times to chant “shame” at the guy sitting in the box too.